Altrincham-based digital agency JAW Digital, who turned three at the end of August, is celebrating significant growth with a brand update and all new, video driven, website. Headed up by Wayne Berry and Julaine Speight, the digital marketing agency, which has seen an almost 100% rise in turnover, profitability, staff numbers and client acquisition during each year of business, has also been championing apprenticeships to help accommodate this growth. 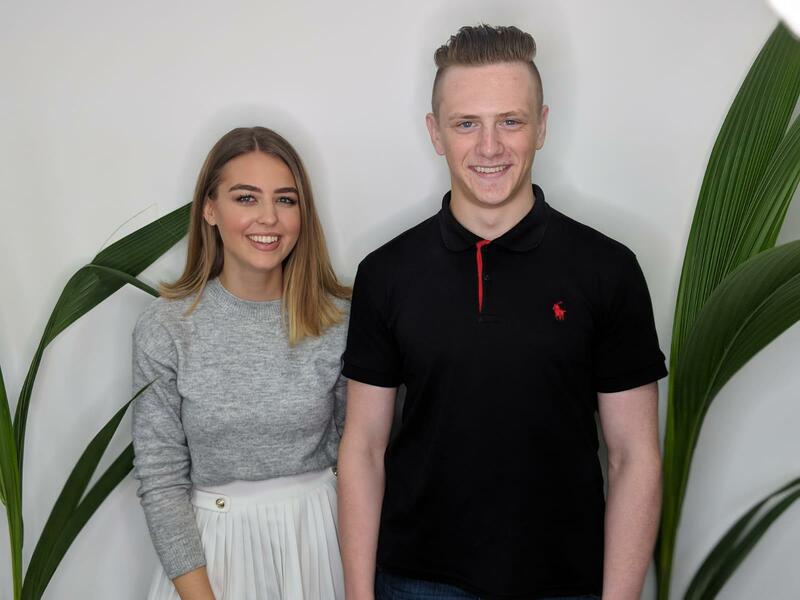 Rebecca Howard and Kieran Woodward came to JAW Digital as digital and software apprentices earlier in 2018 (image attached). This growth has seen JAW diversify its service offering, whilst maintaining a specialism in search engine optimisation, social media management and website development. Agency focus will now extend towards rich content production, including video and animation, as well as influencer outreach strategies. The new website reflects this change in focus with the use of video banners and animations throughout. JAW is looking to recruit further account managers in early 2019 to help manage their growing client base. JAW Digital LTD, based in Altrincham, was established in 2015 by Wayne Berry (previously of The Web Marketing Group) and Julaine Speight (previously of Tangerine Communications) and offers digital marketing services including website design and development, search engine optimisation, digital PR, social media management, paid search, paid social, copywriting, video and animation production, influencer management and blogger outreach. Clients include Likeys, Cresta World Travel, Utility Renewals, Both Barrels Trading, The hebs Group and WeLocate.